At Lancaster Puppies, we connect people with puppies. We provide an advertising service for puppy buyers to find puppy sellers, and a means to contact them directly. We don't sell or raise puppies ourselves, and we don't house them. We offer a convenient way to pair puppies with their future owners, and a safe space to advertise puppies for sale. Our goal is to keep puppy finding simple, and to get buyers and sellers together smoothly. We provide information about breeds across the site, and promote the well-being of dogs to the best of our ability. We also offer stud dog services and puppy-related items for puppy owners and caretakers, to complete the range of services we provide. When you're searching for your new puppy, keep in mind that legitimate breeders keep their puppies safe, clean, and social. Their puppies are well fed, and kept in sanitary conditions. If you find a breeder on our site who doesn't follow these criteria, let us know. We aim to make the website a safe, friendly place where we can match breeders and families. We continuously scan the listings on our site for fraudulent content and scams. Once we are notified of a dishonest seller, we investigate, pull the ads, and ban the advertisers if necessary. We care about the listings with our organization, and we will remove any suspicious ads. We expect that advertisers be truthful, adhere to the law, and provide accurate descriptions of the puppies they raise and sell. Above all, your satisfaction and the health and safety of the puppies are our top priorities. 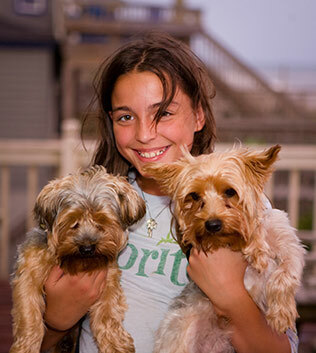 When you find a puppy on Lancaster Puppies, you can personally visit the breeder from whom you are buying before you complete the purchase to ensure that the puppy comes from a loving, caring home. Please note that we do not take liability for any puppy as we are not sellers, but if, for any reason, you are not comfortable with a seller or the conditions in which a puppy is living, please let us know right away, as we record concerns and can investigate the situation further.